Take a few minutes and get a quote today! Being in the insurance business for over 95 years, we know that there are as many types of drivers on the road as there are vehicles to drive in. Some drivers have been licensed for over 50 years, while some have little to no experience behind the wheel. Whatever the case, First Chicago has an insurance plan tailored to meet the needs of most types of drivers. Depending on your driving experience and vehicle type, you should consider the options of what coverage(s) will work best for your situation. To help you weigh those options, here is a guide to Understanding Auto Insurance. Whether you are shopping for an insurance policy or you’re already one of our customers, it is important to understand the different types of coverages that make up a policy. Auto insurance is really a package of four (4) primary coverages; Liability coverage, Vehicle Medical Payments, Uninsured Motorists coverage and coverage for Damage to Your Vehicle. Taken together, these coverages make up a standard auto policy. Each of these coverages has its own separate premium. Your premium payment is the total of these separate premiums. Injury and Property Damage covers losses you are held majority accountable for in a vehicle accident for injury to others or damage to their property. Covers your medical expenses as well as passengers in your vehicle if the expenses are a result of a vehicle accident. There may also be coverage if you are injured by a motor vehicle as a pedestrian. This coverage applies regardless of fault. Available in three (3) forms. Uninsured Motorists Bodily Injury pays for injuries you or your passenger(s) received in a vehicle accident caused by a driver who does not have auto liability coverage. Underinsured Motorists Bodily Injury provides additional coverage for your injuries when the at-fault party does not have enough insurance. Uninsured Motorists Property Damage Coverage provides coverage for damage caused to your vehicle by an uninsured motorist. Collision coverage applies to losses to your vehicle that are caused when your vehicle collides with another vehicle or object. Collision coverage is only available when Comprehensive coverage is afforded. 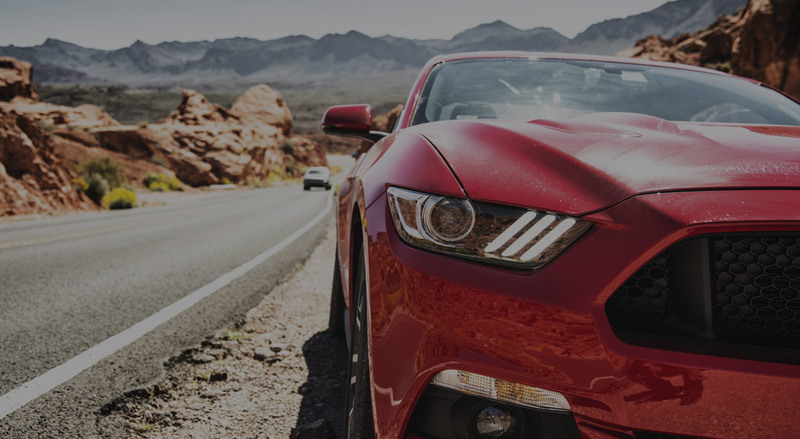 Rental reimbursement which pays for a rental vehicle when the insured's vehicle is out of commission as a result of a loss covered under comprehensive or collision coverages. Towing and Labor coverage would pay for road service and towing. * For full details on your coverage(s), always refer to your policy. As if our low rates, friendly service and reliability aren’t enough reason to insure your vehicle with First Chicago Insurance—we also offer a laundry list of discounts to reward drivers of all kinds. No matter who you are, there is a good chance that you may qualify for one or more of our available discounts. The availability of the following discounts is subject to your state of residency and the First Chicago plan that you are applying for. Here are a few more tips to lower your rates with First Chicago. Raising your deductible from $200 to $500 could lower your premium by 15% to 30%. Increasing it to $1,000 could save you 40% or more. If your collision and comprehensive premium is 10% or more of your vehicle's value, you could be wasting money. For example, if your car is worth $4,000 and you're paying more than $400 a year, it may be time to consider dropping these coverages. And they are not always the ones you think they are. So before shopping, call a First Chicago Agent to get quotes for the models you are considering. They will be happy to help.